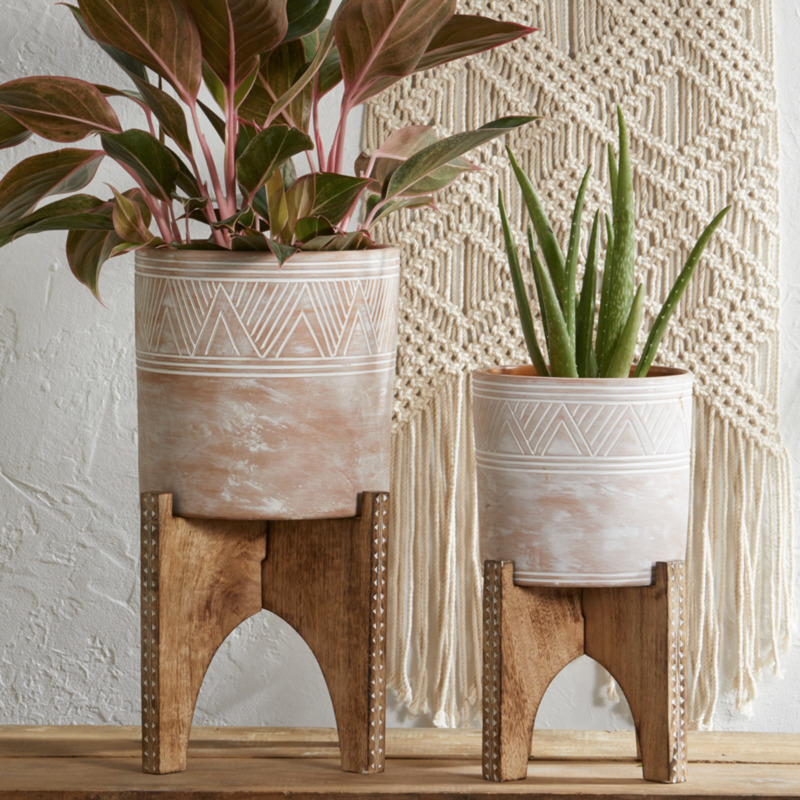 Set includes one Small Etched Terra-Cotta Planter and one Small Mango Wood Plant Stand. 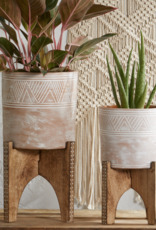 Planter boasts hand-etched detail and modern decorative design. Whitewash exterior; no drainage hole. Interior has clear waterproof finish. Planter measures 6 1/2"h x 7"dia and is made in Bangladesh. Sturdy two-piece plant stand is made from sustainably sourced mango wood, lathe cut, burned, and sanded. Hand-etched design on edges with whitewash contrast. Pieces fit together at center; easy to store when not in use. Stand measures 9"h x 10"sq and is made in India. Planter on stand: 13"h x 10"sq.